SUMMIT brings luxury and convenience under the counter with a fully featured two-drawer all-freezer. 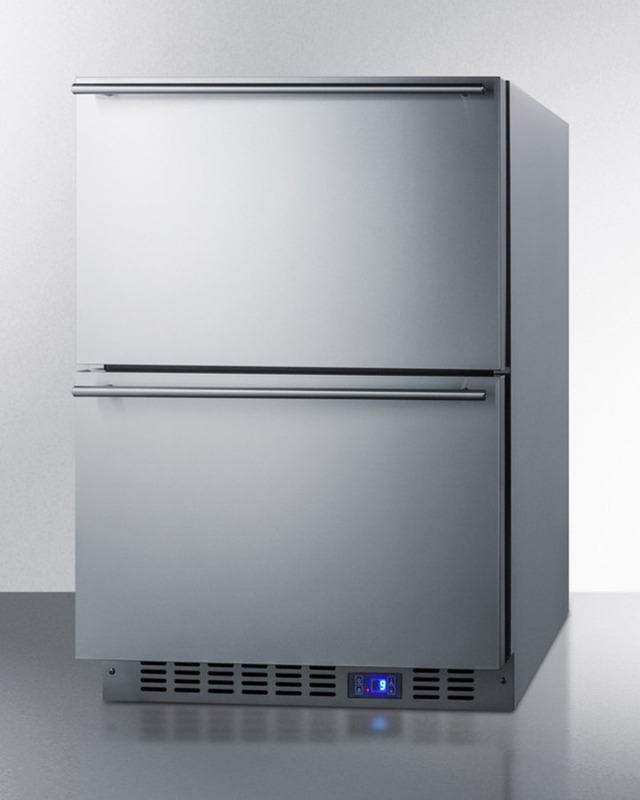 The SCFF532D is sized with an easy-fitting 24" footprint. The front-breathing system allows built-in installation, while the fully finished cabinet also enables freestanding use. Complete stainless steel construction inside and out offers long-lasting durability with professional elegance. 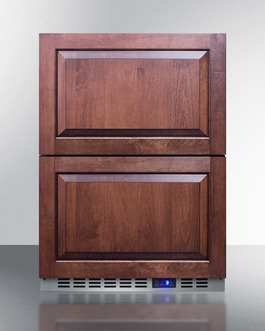 The drawers can be customized with overlay panels to match or accent existing cabinetry design. The stainless steel kickplate and sleek handles complete the look. 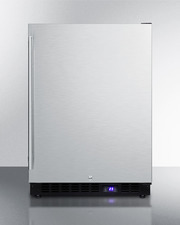 The 3.4 cu.ft. interior utilizes frost-free operation with fan-forced cooling to ensure even temperature distribution with minimum user maintenance. 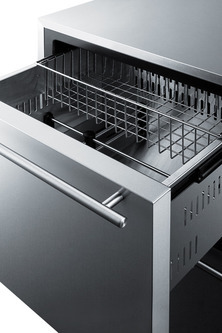 For true storage convenience, the SCFF532D includes a full-width sliding wire basket and two adjustable dividers that let you organize the interior according to any storage needs. Recessed LED lighting offers an attractive yet energy efficient look inside. The digital thermostat located in the stainless steel kickplate makes it easy to manage the temperature, with an LED display that can read in Celsius or Fahrenheit. 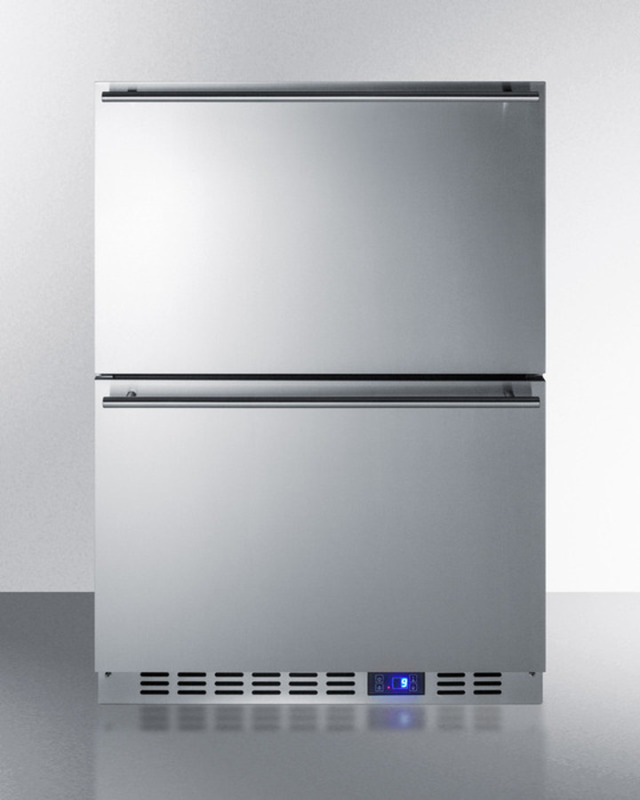 Additional features include a Sabbath mode setting, temperature memory function, and audible alarms for high temperature fluctuations and open drawer alerts. The SCFF532D can be used in home or commercial settings. 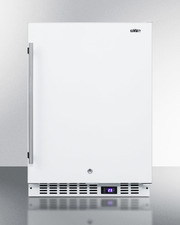 This unit is ETL-S listed to NSF-7 standards and meets UL Commercial Standard 471. 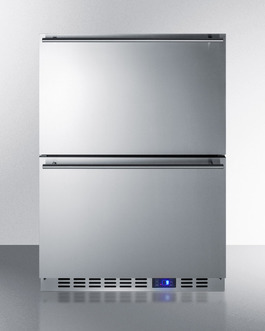 For a matching all-refrigerator, see the FF642D.